Home You n Fashion Love Or Loathe??? Some nigerian peeps are taking fashion to a wrong new dimension. Seriously, on a redcarpet?! ermmmm.... whether by choice or by accident, peeps will definitely raise some eyebrows.... Maybe it's all in good jest and I'm being overly critical, but then again, you never can tell. Can you? 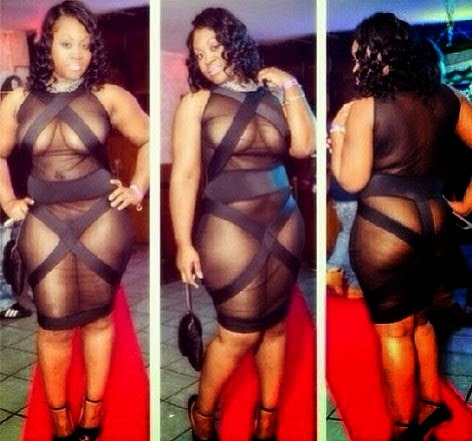 Was it all for attention and shock-value or can you legitimately label her a horrendous fashion victim? I'm dumbfounded. yuck!